A familiar name in the local music industry, Talitha Tan is a singer/songwriter and fitness enthusiast born and bred in Kuala Lumpur. At a young age, Talitha has appear as the rising star in Malaysia with her singing and writing talent. Talitha has always known that she is into music since young. And that’s how her music journey begun when she did some song covers with her guitar and uploaded it on YouTube. And ever since then, there’s no stopping for her. Each and every time we listen to her, we fall in awe with her soothing voice and an amazing ability to write songs. She has released several originals that includes “Sigh”, “Please Stay” and “Shine On”. Her first single “Okay” was very well received, with over 1.6 million streams on Spotify and had regular rotation on most radio stations. Also, Talitha has worked and collaborated with some of the best Malaysian and international artists such as Ali Aiman, Darren Ashley, Tatsuro Miller among many others. Fans would definitely be excited to know that her collaboration with SonaOne will be coming soon. She has been in the music industry for over six years now and has had performed at numerous festivals and events, both within and outside Kuala Lumpur. Talitha has performed at events and festivals such as Urbanscapes, Publika Jazz Fest, Good Vibes Festival 2017, SKY MUSIC FESTIVAL 2016 in Japan, and LENKA’s Asia Tour; plus our very own SEA Games 2017 closing ceremony. How amazing! 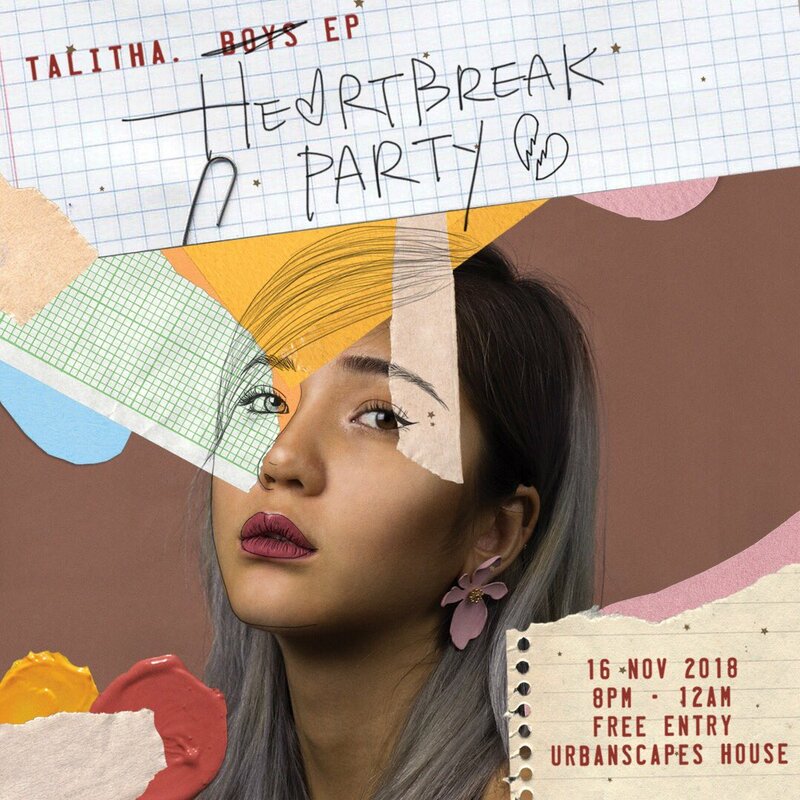 Catch Talitha Tan as she will be performing at Urbanscapes 2018 on the 16th November from 8pm onwards. Head on out to join her Heartbreak Party as well, because her new EP “Boys” will be launched on the show!